Zach* is a lawyer at Lenczner Slaght. His experience in previous roles in private practice, in-house, and as a parliamentary assistant, as well as his background in both civil and common law frame his perspective on the law. 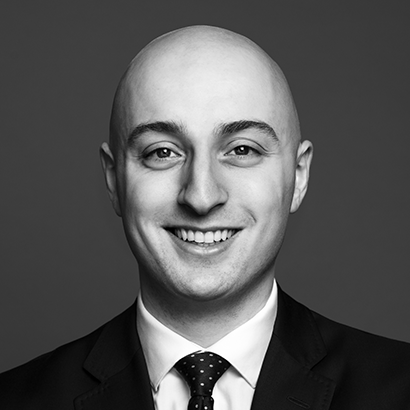 He speaks§ both English and French, advocating on your behalf in your language‡ , so your voice can be heard. .
Zach’s developing litigation practice covers a range of areas, including corporate-commercial disputes and administrative and intellectual property litigation. Prior to being called to the Bar, Zach articled at Lenczner Slaght. Before that, he worked at a boutique litigation firm in Montreal, where he assisted with general civil, commercial, and intellectual property litigation files. Zach is a graduate of the University of Ottawa’s National Program, and holds degrees in both civil law and common law. He has previously worked as an assistant to a Member of Parliament in the House of Commons and a research assistant in the legal department of one of Canada’s largest e-commerce companies.